If you are passionate about primates and would like to know more, this course is the ones for you. The course will look at primates in the wild and in the zoo environment. Find out more about these amazing creatures. people who want to work in zoos, wildlife parks and nature parks. people who want to volunteer to work in nature parks, zoos and wildlife parks. staff and volunteers working in rescue and rehabilitation with primates. journalists and writers who would like to start writing more about primates. The course consists of three 100 hour modules in Primates, Wildlife Management and Zoo Keeping. You are then also required to complete a workplace project. Find out more below. These modules provide foundation knowledge for the Qualification - Proficiency Award in Primates, Wildlife Management and Zookeeping. Note that each module in the Qualification - Proficiency Award in Primates, Wildlife Management and Zookeeping is a short course in its own right, and may be studied separately. The taxonomic family "Cercopithecidae" are Old World Monkeys. 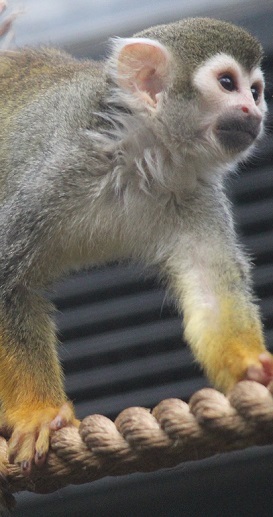 This family contains 30% of all primate genera, with 82 species. Members of this family are distributed mostly through Asia and Africa and include the Macaques, Mandrills, Colobus and Proboscis Monkeys. They occupy a range of habitats including grasslands, mangroves, swamps, high mountains, riparian forests and rainforests. They can be arboreal and ground dwelling (eg. Baboons). A major differentiation between these Old World Monkeys and the New World Monkeys is that the tail is never prehensile. They range greatly in size from under 1kg (Talapoin) to up to 50 kg (male mandrill). The hind limbs are generally longer than the forelimbs and nails are present on all digits. All members are diurnal. Most have a preference for plants, especially leaves, but most are partly omnivorous feeding on various sources such as fruits, insects, flowers, rhizomes. Members of this family usually live in groups which vary in size for different species, They are generally polygamous, with the male having several female partners. The next step is to decide what you would like to achieve. If you would like to work with primates or improve your own career prospects in your existing role, then seriously consider taking this course. This will provide you with a detailed insight into primates, their care and health, as well as learning more about zookeeping and wildlife management. If you have a passion for primates and would love to work with them, this course is a great way to get started. This course will provide you with a strong foundation of knowledge on primates. If you love these fascinating creatures and want to learn more.